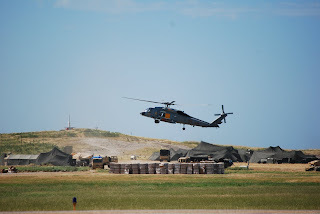 While on the deck in Haiti, AFA-317th Chapter Secretary Catherine Smallwood took this photo of an HH-60H helicopter belonging to U.S. Navy Squadron HS-15 "Red Lions" based out of Jacksonville, Florida and attached to the U.S. Navy Carrier, the U.S.S. Carl Vinson CVN-70, hovers over a large collection of relief material at the airport. Miami, Florida / Port a Prince, Haiti 27th January 2010: Very well being the ONLY Air Force Association Chapter to take part in the direct support and relief efforts into Haiti, elements of the Air Force Association Miami Chapter, the 317th organized, loaded up and crewed a support flight to Haiti on 27th January 2010. 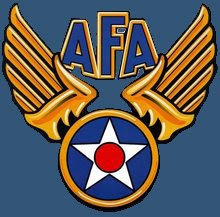 Having been established by the 94th AeroClaims-Aviation Consultant Group (94th ACG), the parent company of the Chapter President and in a joint operational effort with an associated alliance companies such as Hunes McCoy Aviation which is based in Atlanta, Georgia and Walston Aviation LLC of Miami, Florida, an FAA FAR-135 operation, set the wheels into motion to provide airlift for the representatives of a major, U.S. national child adoption agency who traveled to Haiti to commence the return of children slated for adoption. 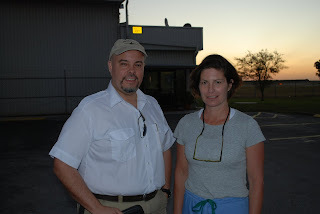 The the flight crew consisted of two AFA-317th Chapter Members thus being Mr. Chris Walston Mission Commander, Chapter Member and Catherine Smallwood Chapter Secretary who acted as Mission Specialist. 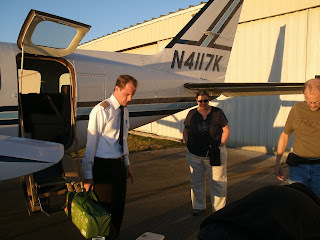 Both crew members are fully rated and experienced flight instructors as well as seasoned commercial airline pilots from the cargo and regional passenger side of the industry. 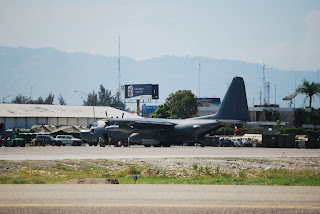 AFA-317th crews are slated to again undertake a series of flights back and forth to Haiti while again utilizing the the Piper Chieftain aircraft, N4117K and a 30 passenger seat SAAB-340 turbo prop aircraft. In early 1961, about 20 B-26Bs, most converted from B-26C configuration, were 'sanitized' at Duke Field (aka Auxiliary Field Three at Eglin AFB). 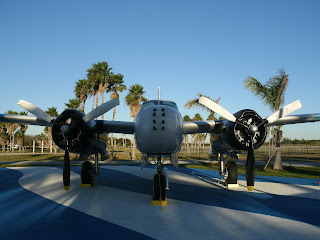 They had defensive armament deleted, and were fitted with the Eight-gun nose, underwing drop tanks, rocket racks, etc. Miami, Florida 27th January 2010: April 15th the day we here in the States all known as “Tax Day” — the day we must all have our income tax forms filed with the IRS. In 1961 this day became infamous as this was the day the Fuerza Aérea de Liberación (Liberation Air Force) launched an aerial attacks against the Cuban mainland utilizing eight Douglas twin engine A‑26 Invader aircraft, thus began the Bay of Pigs Invasion (La Batalla de Girón, as it is known in Cuba). 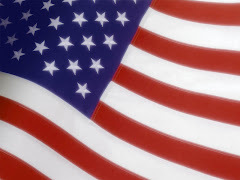 Controversy exists today regarding CIA and other US governmental assistance and that will be left to others for essay as well as heated discussion. There is no controversy that many were lost, on both sides. 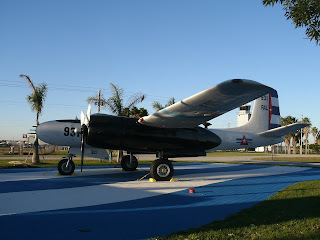 But regardless as to how history may have embraced this event, the fact of the matter is that history for these two Countries the United States and Cuba was written with a U.S. Air Force aircraft, the Douglas A-26 "Invader". 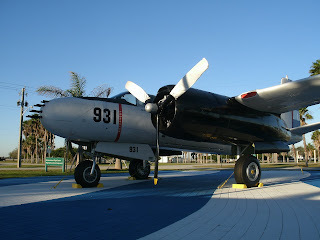 Shown above is the new and wonderfully constructed memorial at Kendall Regional Airport (KTMB) which pays honor to the men who trained and flew the venerable A-26 Invader, as this article pays homage to the aircraft. 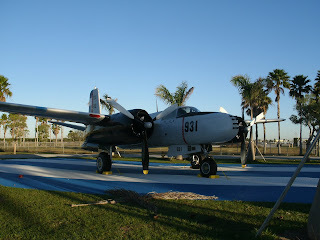 Chapter President Benny F. Benitez view this memorial and was pleased to see the overall condition of the aircraft. Despite the humid and corrosive condition to aircraft that is South Florida, aircraft "931" appears to be cosmetically in great condition. Having a Chapter member, Mr. Stan Bodner who flew A-26's in Germany in the 1950's, the 317th hopes to hold a seminar on and about the aircraft at the site for the benefit of local Civil Air Patrol Cadets and the public in the months to come. 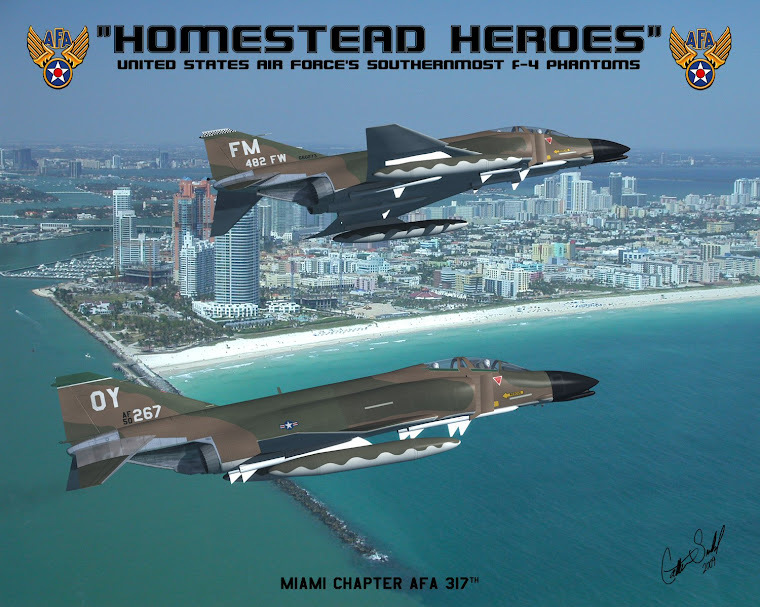 Homestead, Florida 23rd January 2010: In an outstanding display and example of U.S. Air Force core values, SrA. 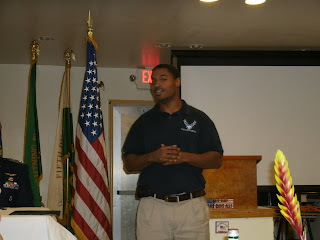 Romaine Pryor who serves on the Homestead Air Reserve Base Junior Enlisted Council spoke to the Cadets of the Civil Air Patrol, Tamiami Composite Squadron 335 at their annual banquet. SrA. 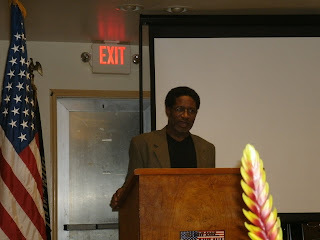 Pryor drove home the point to the Cadets of the 335 that determination and wiliness to succeed and applying ones potential in whatever one strides for and that working together as a team will ensure success. The Cadets were challenged by SrA. Pryor in that he expects to see them working again as a team at this year Homestead Air Reserve Base Airshow. 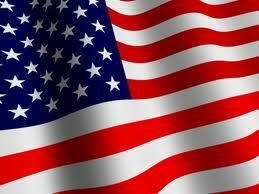 We at the Air Force Association Miami Chapter, the 317th wish to thank and congratulate SrA. 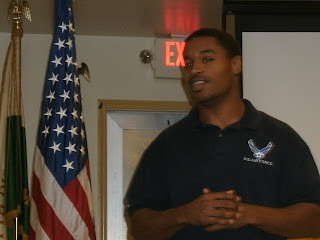 Pryor for an excellent display of U.S. Air Force core values toward the young Cadets. 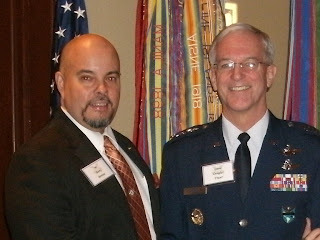 In appreciation, the 317th through a donation from the 94th AeroClaims-Aviation Consultant Group, shall provide SrA. Pryor a one year individual member to the AFA and sign him on as a Chapter member. Air Force Association Miami Chapter, The 317th Supports The Civil Air Patrol 335 Tamiami Composite Squadron "The Black Sheeps"
Homestead, Florida 23rd January 2010: In an effort to promote, establish and project the presence and abilities of the Miami Chapter Air Force Association, the 317th leadership led by its President Mr. Benny F. Benitez proudly represented the 317th at the Civil Air Patrol, Tamiami Composite Squadron 335 annual banquet, which was held at the Homestead VFW Post 4127. 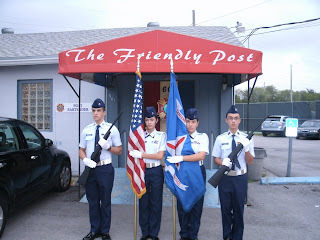 Accompanied by the Chapter Secretary, Ms. Catherine Smallwood, who also serve as the Chapter Public Affair Office photographer, the Miami Chapter Air Force Association not only showed its presence and support toward the Cadets of 335, but handed out various AFA awards to the distinguished Cadets. 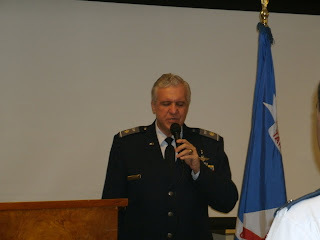 Given the opportunity by Lt. Col. Manuel Pelati, Group 7 Commander the AFA-317th President addressed the audience about the Miami Chapter Air Force Association and as to how the Chapter under his leadership looks forward to working with the Cadets of the Tamiami Composite Squadron. Chapter Secretary Catherine Smallwood who is an FAA Certified Flight Instructor with all applicable ratings held a side bar conference with the leadership of the Tamiami Composite Squadron about assisting with her time and talent within their flight operations department. 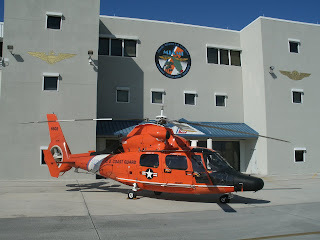 As a foot note the Tamiami Composite Squadron of the Civil Air Patrol was stood up back in 1980 and in 1982 it established itself at Tamiami Regional Airport (KTMB) and in 1987 in took up residence at its current facility, the Wings Over Miami Air Museum, formally known as the Weeks Air Museum. 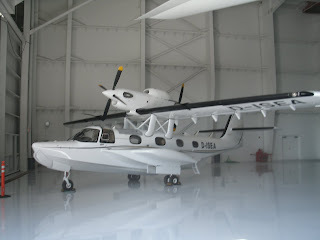 Opa Locka, Florida 20th January 2010: Seastar is an ALL-COMPOSITE 12-seat, 10,000-lb. amphibious flying boat. The Seastar CD 2 series aircraft type is LBA and FAA certified to FAR Part 23 amendment 34. It is the top of the line version and will be the first to market. 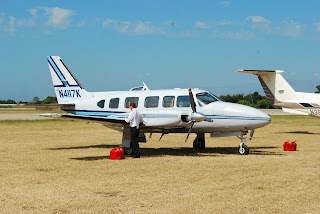 The aircraft is all composite and powered by two reliable Pratt & Whitney PT-6 turboprop engines. It will feature state-of-the-art cockpit avionics, exterior and interior design, layouts, accessories, and comfort systems. 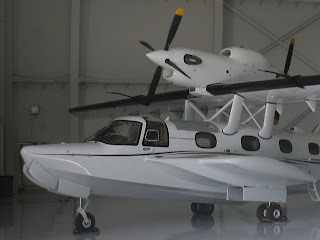 The advanced Seastar design incorporates more than 90 years of Dornier engineering know-how and experience in the operation of seaplanes. 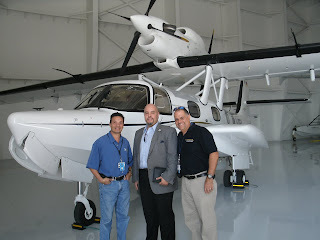 The Air Force Association Miami Chapter, the 317th led by its President Benny F. Benitez, Chapter Secretary Catherine Smallwood and Chapter member Avi Mizarchi, undertook a detailed physical exterior inspection of the Doriner SeaStar, so as to learn of the aircraft technical and operational attributes. 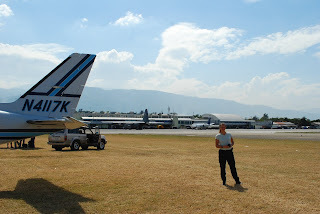 This included a review of the aircraft technical manuals for familiarity. Provided below are a few technical attributes that make this a one of kind aircraft. Being that leadership at the Air Force Association, Miami Chapter, the 317th is comprised of pure aviation professionals starting with their President, their Vice President and the Chapter Secretary and for the benefit of the Aerospace education, the Chapter plans to have various "Aircraft Reviews" for the student body of the local Miami-Dade Schools, Jr. AFROTC and AFROTC Det 155 at University of Miami. Opa Locka, Florida 5th January 2010: In the spirit of our Armed Force Active duty brethren and comrades, the Air Force Association Miami Chapter, the 317th through its members and leadership business connections and business clients operates in "Jointness Operational Mode" a tremendous assets to provide continuous exposure and awareness toward the Air Force Association. With that said and through the Chapter President company, the 94th AeroClaims-Aviation Consultant Group and its subsidiary, the Digital Aircraft Factory, which is headed up and operated by the Chapter Secretary, Catherine Smallwood and through their support of the Eastern Airlines Flight 401 Tribute Group, they took the honorable mention and presence of the Air Force Association and the Miami Chapter, the 317th to over 220 USCG, Federal, State and Local Aviation Law Enforcement and Rescue Aircrews. 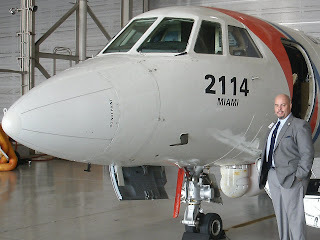 By invitation sent to Mr. Benitez by Captain Richard Kenin (USCG) Commanding Officer of Coast Guard Air Station Miami, the leadership of the 317th in assisting the Eastern Airlines Flight 401 Tribute (the 1972 crash of an Eastern Airlines L-1011, see www.ealflt401.blogspot.com) provided the attending aircrews with an inside to the start of what is the foundation of all aircrew operational training "Crew Resource Management-CRM" that became an industry standard a result of the 1972 crash. 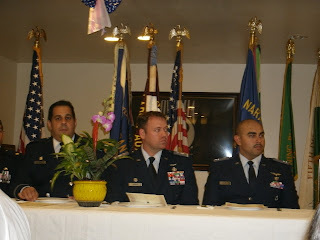 In meeting many State and Local Aviation Law Enforcement aviators, of which many were U.S. Veterans and Reservist, the AFA-317th capitalized on the opportunity to advocate and educate the attending audience on and about the Air Force Association its Miami Chapter and the benefits of joining and supporting the Air Force Association. Doral, Florida 9th January 2010: Despite the cold and frigged temperatures that has gripped and besieged the Miami area since the commencement of the New Year, all but the hardest of souls braved the elements to answer the invite call sent forth by the U.S. South Command Commanding General, General Fraser (USAF) to a post New Year gathering at the Doral Golf Resort. 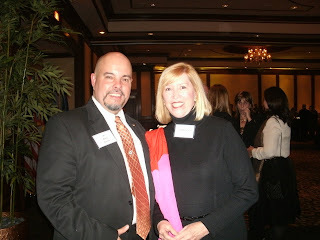 Dignitaries from Foreign Allied Nations and Governments, as well as prominent local business leaders to include State, County and City officials were all in attendance to help General Fraser, his family and his Command celebrate the New Year! 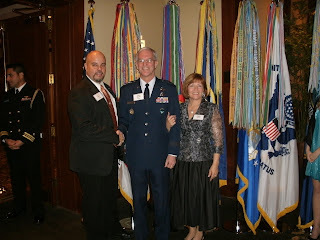 The Air Force Association Miami Chapter, the 317th had both and honorable mention and presences, as the Chapter President, Mr. Benny F. Benitez was in attendance and proudly representing the Air Force Association. Seizing the opportunity, Mr. Benitez was able to hold side bar conferences with various ranking officers and visiting dignitaries. 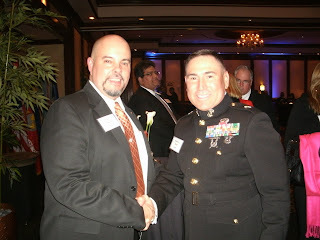 One such conversation was with U.S. Southern Command Chief of Staff, Brigadier General David C. Garza (USMC). Mr. Benitez explained to Brigadier General Garza the AFA-317th wiliness and ability to assit in morale and welfare of his troops through reorganization and the rendering of well earned awards. The General was delighted and extended an open door visitation to his office, so as to forge a stronger link between the community (AFA-317th) and the Command. 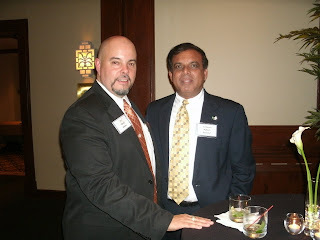 Other such conversations and exposure of the AFA-317th were held withe Honorable Don Slesnick, the Mayor of Coral Gables and Honorary Consul of the Country of Guyana, the Honorable Mr. Ramzan Roshanali. 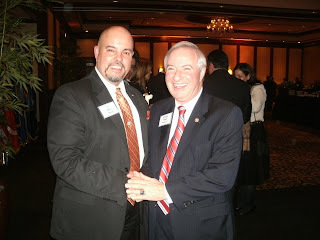 Other notable mentioned included Mr. 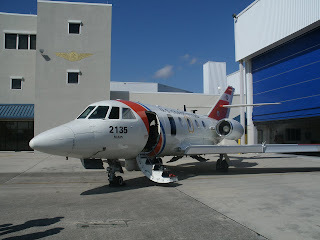 Brain C. Dawson of IBC Airways a locally based Miami Airline which operates the SAAB 340 and Fairchild Merlin II Turboprop aircraft's often in support of U.S. Southern Command. 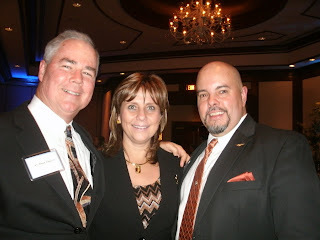 All in all the Air Force Association Miami Chapter, the 317th seized a tremendous opportunity to present itself to many and thus raising the awareness and value of the Air Force Association in Miami. Miami, Florida 8th January 2010: Rodrigo J. 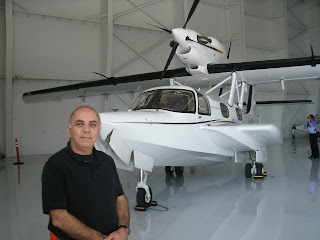 (Rod) Huete is presently a Test Pilot Consultant, recently retired from the Federal Aviation Administration (FAA), New York Aircraft Certification Office after having served the FAA for almost fourteen years. 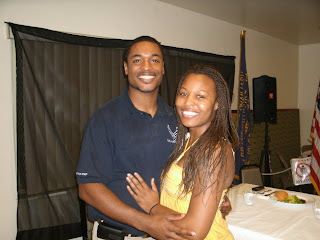 Rod also retired from the USAF in 1993 as a test pilot. 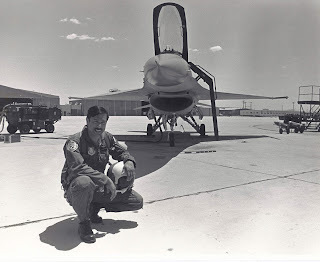 He was a T-38 instructor Pilot, was a Flight Test Engineer in developmental testing of the F-15 and then was an F-15 fighter pilot in Germany. 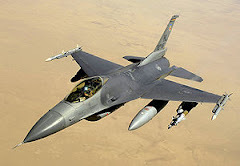 He is a graduate of the USAF Test Pilot School, class 81A, stayed at Edwards AFB as an Air Launched Cruise Missile chase pilot, and then as chief of the Airframe Branch in the F-16 Test Force where he tested the first F-16 major electrical system upgrade, the LANTIRN pod structural verification and the first Digital Electronic Engine Control (DEEC) on a fighter engine. Rod was then assigned to the USAF TPS as an instructor test pilot where he was the lead instructor for spins and was triple rated in the F-4, T-38 and A-37. 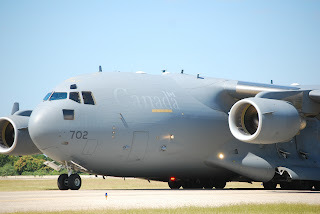 Between flying duties Rod was assigned as special assistant to the Commander-In-Chief, US Southern Command in Panama where he programmed the requirements of Low Intensity Conflict technology such as the C-27 STOL aircraft, and the Caribbean Basin Radar Network (CBRN). 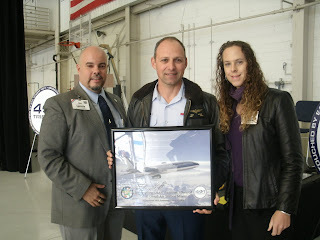 He returned to flight testing at Edwards AFB as the Director of Safety flying the F-15 on APG-70 radar product improvements. After retiring in 1993 Rod worked for the National Test Pilot School (NTPS) as an instructor test pilot and was assigned to Venezuela to complete the VF-5A/B avionics upgrade program which included a new weapons computer, a Heads-Up Display and it required a full air-to-ground weapons qualification. 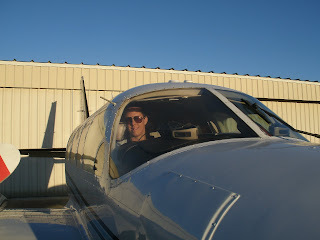 In the FAA Rod was the primary certification test pilot for all Bombardier jet products, he was part of several multi-pilot evaluations introducing glass cockpit concepts to Part 23 airplanes such as the Avidyne and Garmin G-1000. 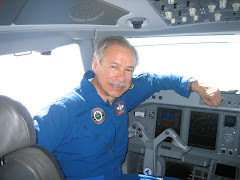 As the Lead Flight Safety Officer for the Aircraft Certification Service Rod was integral in establishing the FAA Flight Test Risk Management process through FAA Order 4040.26; he was also the FAA lead for the NASA/FAA Flight Test Safety Database. Rod is type rated in the A-320, B-737, CRJ-100/200/700/900, Challenger 604/605, Challenger 300, Global Express and is also Seaplane and Glider rated. 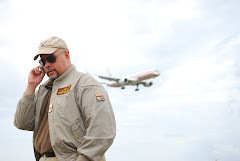 Rod is a two-time winner of the SETP Tony LeVier Flight test safety award (2000 and 2008).